Home Archive by category "2017 Season"
‘Outstanding Australian Soprano‘ Amelia Farrugia, UK violinist Andrew Haveron ‘one of the most sought after of his generation‘ and ‘glorious‘ Swiss-Australian flautist Bridget Bolliger, are among this year’s line up of artists who will perform at the Manly Art Gallery and Museum in the Sydney Chamber Music Festival 2017. 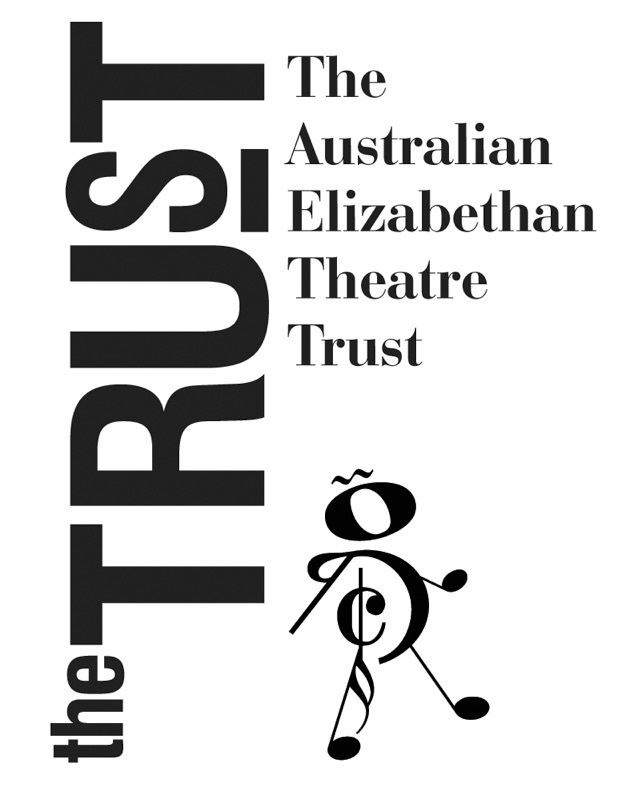 Helpmann nominated music theatre performer/actor Meredith O’Reilly and flautist Bridget Bolliger will bring to life some exciting (and maybe, a little bit spooky) tales for the young and young at heart, with flute, voice and storytelling. One of Australia’s best loved sopranos, Amelia Farrugia, will join flugelhorn specialist from the Sydney Symphony Orchestra Anthony Heinrichs, and harpist Verna Lee, in an evening of operatic joy with music by Gounod, Faure, Puccini, Bellini, Massenet and Andrew Lloyd-Webber. This fascinating combination of instruments will also include Baroque music by J.S. Bach to calm your soul as well as a triple harp concerto for you to discover…. and a taste of Haydn. Adaption for ﬂugelhorn and harp. “O mio bambino caro” from “Gianni Schiocchi” – Giacomo Puccini. “Ch’il bel sogno” from “La Rondine” – Giacomo Puccini. Chamber music for Flute and Strings. Flautist Bridget Bolliger joins Sydney Symphony Orchestra concert master Andrew Haveron on Violin, alongside returning festival artists Tobias Breider (principal violist with the SSO) and Teije Hylkema (principal cellist with the Australian Opera and Ballet Orchestra). Experience some of the finest chamber works by Mozart, Reger, Rossini, Martinu, Ysaÿe. Don’t miss this concert’s world premiere performance of ‘Unquiet’ by Australian composer Jim Coyle, commissioned by the Sydney Chamber Music Festival. Commissioned for the Sydney Chamber Music Festival’s 10th Anniversary 2017. Art works inspired by the theme of Phantoms by senior art students from St. Lukes Grammar School. Composer Jim Coyle was commissioned by Sydney Chamber Music Festival to write a new work for flute quartet on the theme of ‘Phantoms’. The work is entitled ‘Unquiet’ and reflects, in part, the feeling of the presence of another composer in the creative process. In this case, the composer is Benjamin Britten about whom Jim is currently writing his doctoral thesis. This barely perceived and not unwelcome presence has been part of Jim’s work as a composer for several years and ‘Unquiet’ makes allusion to several of Britten’s works. The premiere performance will also feature artworks from year 11 students at St Luke’s Grammar School, Dee Why which have been guided and curated by artist and educator Coco Elder. The sixteen participating young artists have each created three works on the theme of ‘Phantoms’ reflecting a variety of artistic styles from cubism to expressionism to pop art and beyond, thus themselves invoking the phantoms of earlier artists. This exciting multi-media performance is one of a number of top-line events scheduled for this year’s Sydney Chamber Music Festival. CLICK HERE to read more about the artists performing in our 2017 season. CLICK HERE to read the Director of the Manly Art Gallery&Museum’s letter, celebrating ten years of the Sydney Chamber Music Festival. Download a FLYER for this year’s festival. CLICK HERE to read the full article (downloadable PDF). 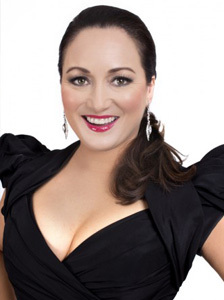 Amelia Farrugia is regarded as one of the brightest stars of opera in Australia. Amelia has had a highly successful and varied Australian & International career in Opera, Music Theatre, Symphony Concert, Recital, Corporate Events, Large-Scale Outdoor Events, Recording & Television. Amelia Farrugia’s auspicious debut solo recording, Joie de vivre! was released by Universal Music Australia in December 2005 and released in the UK October 2006. 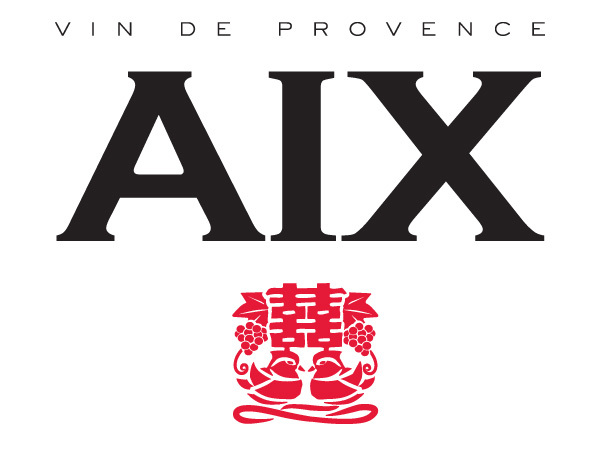 Recorded in the UK with the BBC Symphony Orchestra under the baton of Alexander Briger, Joie de vivre! was nominated for a Classical Aria Award (2006). The first Australian solo artist to record on the prestigious Decca label since Dame Joan Sutherland in 1959, Amelia was featured on national television’s ABC news, The Today Show, Good Morning Australia, Carols in the Domain and on radio as ABC Classic FM’s CD of the week and 2MBS FM’s CD of the month. In 2017 Amelia appears in the world-premiere of DIVA! (City Recital Hall, Sydney). An uplifting celebration of great Australian Divas, June Bronhill & Dame Joan Sutherland with original music scored by Elena Kats-Chernin. Meredith has been an entertainer for over 30 years. Theatrical highlights include Starkers (playing feisty stripper Glenda, directed by Lex Marinos), Les Misérables (Swing, directed by Gale Edwards), Hello Dolly! (directed by Christopher Renshaw), Chess (understudy Florence, directed by Colin McColl), New Rocky Horror Show (Magenta/Usherette alternate, directed by Nigel Trifﬁtt), Gypsy (stripper Tessie Tura, directed by Nancye Hayes), How To Succeed In Business Without Really Trying (secretary Smitty, directed by Kris Stewart), The Producers (elderly Hold Me-Touch Me, nominated for both Green Room and Helpmann awards, directed by Susan Stroman), Karaoke the Musical (pushy stage mother Tammy, directed by Guy Noble), Rain (P.M. Julia Gillard, directed by Jonathan Mill/Teresa Borg), Love Never Dies (understudy Madame Giry, directed by Simon Phillips) and Grandma in The Addams Family (directed by Jerry Zaks). 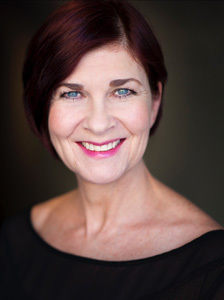 Recently Meredith was in 3 new Australian musical projects: Life Force (ﬁve different roles in four accents, directed by Lisa Freshwater), mystery thriller Laura (directed by Arne Neeme) and the City Recital Hall concert of King Of The Air, playing Charles Kingsford Smith’s mother (directed by Tyran Parke). She played the role of theatrical agent Sylvia St. Croix in Ruthless! in 2014 (Glugs Award nomination for Best Supporting Actress in a Musical, directed by Lisa Freshwater). In 2015/16 Meredith toured Australia in The Sound Of Music (directed by Gavin Mitford) as Baroness Elberfeld, understudying Sr Berthe and Frau Schmidt, playing the latter role for six weeks in Sydney. Her cabaret Curtains about showbiz disasters was a ﬁnalist in 2014 Short and Sweet and Cabaret and selected for Sydney’s inaugural Festival Fatale in 2016. Earlier cabarets include Only Just Begun, about singers who died suddenly and young. She has fronted big bands Tres Mambo, Horns Plus and her jazz quintet, The Mezzanines. She writes lyrics for music theatre, jazz and popular songs and songs tailored to corporate events. Meredith has appeared in numerous TV dramas, commercials, corporate ﬁlms and is a voiceover artist. She has hosted several radio shows and narrated audio books for Vision Australia for ten years. . Since 1990, Verna has won critical acclaim for her performances. Her playing was recently described as “all tears and goosebumps”. With no less than 45 concerto performances to date, she has built a reputation as a versatile soloist with Australian premieres of concertos and many performances of the ever-popular Mozart and Handel harp concertos. One highlight was being featured as soloist with the Australian Youth Orchestra at the Adelaide Arts Festival in 1992. After making her solo debut at the age of 15, she has performed many recitals and has toured Australia as a soloist. In 2012, Verna was awarded a grant for her sold-out multi-media performances The Harp In Nature which showcased stunning images of the Australian landscape set to harp works by Australian composers. This recital was also performed at the recent World Harp Congress in 2014. 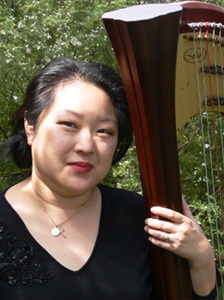 She considers herself fortunate to have worked and recorded with various orchestras such as Singapore Symphony, the Sydney Symphony, Australian Opera and Ballet Orchestra, Adelaide Symphony and Tasmanian Symphony and spent 10 years as principal harpist with Australian Youth Orchestra until the ripe old age of 27. Verna has also performed with international artists such as Sumi Jo, Aled Jones, Il Divo, Tina Arena, the Kiev Ballet and the Deutche Kammerakademie Neuss. 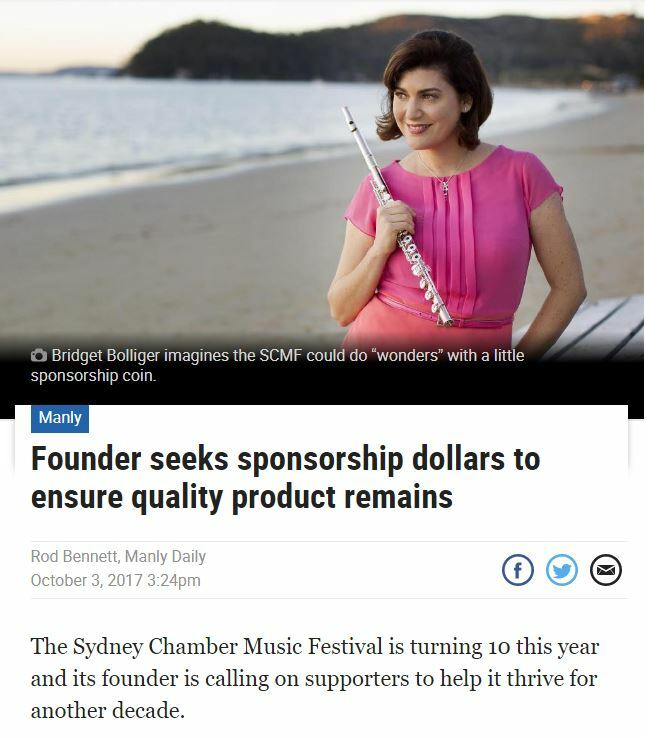 Other harp activities include directing the Sydney Harp Eisteddfod, harp weekends and workshops, harp camps, lecturing at harp festivals and regularly accompanying soprano Amelia Farrugia. Bridget first performed as a soloist with the Sydney Symphony Orchestra at the age of 15 and studied at the Basel Music Academy completing her Masters degree in performance under Prof. Peter-Lukas Graf. As a soloist, Bridget appeared with the St Gallen and Basel Symphony Orchestras, Orquestra del Teatro Massimo Palermo and the Sinfonica de São Paulo among others and she performs regularly for the ABC, Musica Viva, and is a regular guest at the Huntington Music Festival and Australian Festival of Chamber Music, Townsville. Bridget spent several years as Principal Flute with the St Gallen Symphony Orchestra, Switzerland, and then the Sao Paulo Symphony Orchestra, Brazil. She was Guest Principal Flute with the Zurich Opera Orchestra , Zurich Chamber Orchestra and Basel Symphony Orchestra. 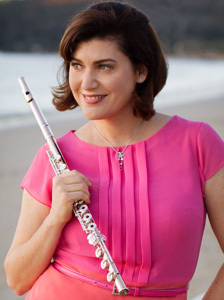 Since returning to Australia, Bridget has played principal flute with the Queensland Symphony Orchestra, the Australian Opera and Ballet Orchestra and has regularly played with the Sydney Symphony Orchestra and Melbourne Symphony Orchestra. Bridget studied voice at the Koln Music Hochschule and at the Bologna Music Academy . She performed the roles of Clorinda in Rossini’s “La Cenerentola” at the Teatro di Sao Pedro in Sao Paulo and was the first soprano in “Drei arme adelige Waisen” from Richard Strauss’ opera Rosenkavalier , at the Teatro Massimo de Palermo in Sicily. Bridget studied art song and opera as part of her music education in Europe. Bridget’s debut solo CD release in 2014, “Dancing Shadows”, has earned great international acclaim from Gramophone, BBC Music Magazine and Limelight and she made her Sydney Opera House debut as solo artist in 2016. Andrew has performed concertos with conductors such as Sir Colin Davis (LSO), Sir Roger Norrington, Jiří Bělohlávek (BBCSO), Stanislaw Skrowachewski (Halle) and John Wilson (CBSO), performing a broad range of well known and less familiar repertoire. 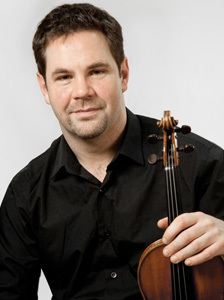 In 1999 Andrew was appointed first violinist of the internationally acclaimed Brodsky Quartet. A busy schedule saw the quartet perform and broadcast in their unique style all over the world collaborating with a varied selection of outstanding artists such as Anne-Sophie Von Otter, Julian Lloyd-Webber, Dmitri Ashkenasy and Alexander Baillie through to their iconic ‘cross-genre’ work with Elvis Costello, Björk, Paul McCartney and Sting. Andrew recorded more than fifteen albums with the quartet, many of which received industry awards such as “Diapason d’or” and “Choc du Monde”. Andrew is also in great demand as on orchestral leader and enjoys frequent invitations to work with all the major symphony orchestras in the UK and many further afield. In July 2007 he became leader of the BBC Symphony Orchestra, broadcasting frequently on BBC Radio 3 and enjoying many appearances at the Proms including the famous “Last Night”. At the request of conductor Valery Gergiev he also led the ‘World Orchestra for Peace’. Andrew has also been the leader of ‘The John Wilson Orchestra’ since its inception. Most recently, Andrew has been appointed leader of the Philharmonia Orchestra. 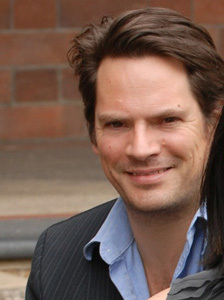 In 2004 Andrew received an honorary Doctorate from the University of Kent for his services to music. He plays on a violin made in 1709, by Carlo Tononi. He became Joint Concert Master of the Philharmonia Orchestra in 2012. 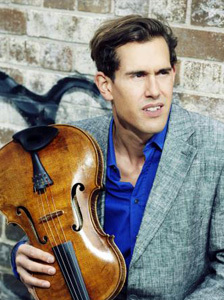 German born Tobias Breider is Principal Violist of the Sydney Symphony Orchestra. Previous positions as Principal include the Rhine Opera Duesseldorf,the Konzerthaus Berlin and in the Philharmonic State Orchestra Hamburg under Simone Young. He has also appeared as guest leader with the Leipzig Gewandhaus Orchestra, both Radio Symphony Orchestras of Berlin, the Radio Symphonies of Vienna and Cologne, the Qatar Philharmonic and the Melbourne Symphony a.o. Having a busy International career as a chamber musician he has been invited to numerous Festivals in the US, Germany, the UK and South Africa. As a Soloist he performed a.o. at City Recital Hall in Sydney and the Recital Center in Melbourne. He recently toured Queensland and has collaborated with numerous chamber ensembles in Australia, like Wilma Smith & Friends, Kathryn Selby&Friends and the OMEGA ensemble Sydney. He was invited to the The Sanguine Estate and Pearl Beach Festivals, The Australian International Viola Conference, to Viola Week at ANAM and to the Schubert and Brahms-Marathons in Melbourne. Tobias has taught at the Sydney Conservatorium and is guest teacher at ANAM (Melbourne). He coached at the Britten/Pears School in Aldebourgh (UK) and was invited for Masterclasses at Stellenbosch University (S.A.) and at the Shanghai Academy. 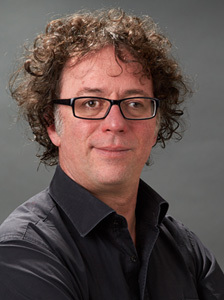 Jim Coyle is a Sydney-based music educator and composer. 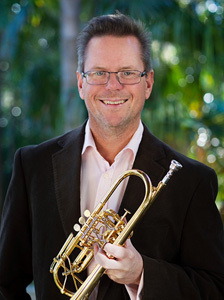 As a composer, he has worked with some of Australia’s finest musicians including the Sydney Sinfonia and Sydney Brass, and has been commissioned to write works for musicians from the Sydney Symphony Orchestra and the Tasmanian Symphony Orchestra. He has also written music for some of Australia’s least experienced musicians, notably his opera for primary school children, The Selfish Giant. Jim Coyle is in demand as a leader of professional development for music teachers and of masterclasses for student composers, including conducting seminars for the SSO. He sometimes lectures in music education at the Sydney Conservatorium of Music, where he is also engaged in doctoral research. 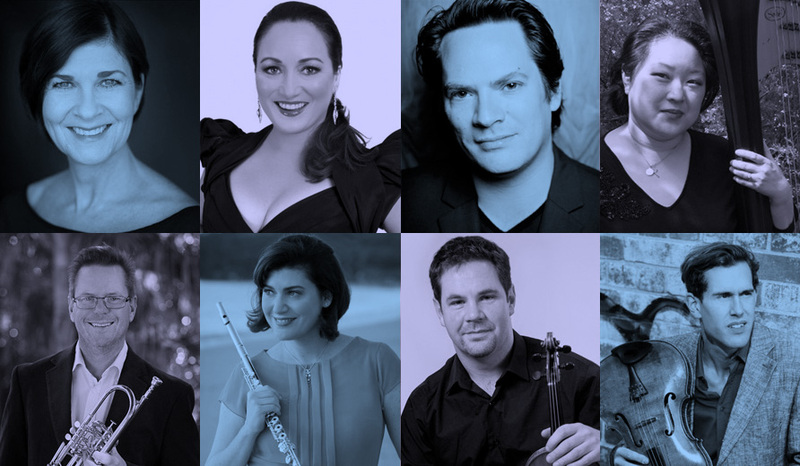 Holding to the maxim of ‘starting as you mean to go on’ and taking the broad and encompassing title of the Sydney Chamber Music Festival, this annual event has now reached its tenth anniversary. In 2008, ignoring the elements of limited resources and a secure home, Artistic Director Bridget Bolliger, her supporting committee and Festival Patron Guy Noble plunged into the fray with a series of innovative concerts by outstanding players. The results speak for themselves. 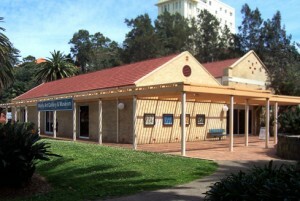 Securing Manly Art Gallery & Museum as a permanent home from 2009 gave the Festival a unique quality. Listening to fine music in a large hall (purposely built for concerts in the 1920s) beside Sydney Harbour has given the Festival an energy and freshness that make it stand apart from similar events. The programming of three weekend concerts, including one for children has ensured that the Festival remains vibrant and accessible. In its quest to engage very young audiences, the Saturday morning Coffee Concert series has presented 30 minute concerts of works that appeal directly to children. Sitting on the floor just metres from the players has enabled a new audience to see and hear instruments up close and to be guided through the elements of musical performance. This educative role saw the utilization of the talents of selected performers in a series of masterclasses for tertiary music students in 2008. There have been multiple highlights over the past nine years and the list of first class players is extraordinary. Gerard Willems, Taryn Fiebig, James Crabb, the Faust Quartett, the Volatinsky Trio, Dimitri Ashkenazy, Shalev Ad-El, Teije Hylkema, Andrew Ford, Juerg Daehler, the Acacia Ensemble, Anthony Heinrichs, Jane Edwards, David Miller and of course Bridget Bolliger herself, are among the many whose dazzling talents have been part of these great events. The long list means that many others are regrettably omitted here. The artistic programming has been innovative and thematic. Selecting works for a Parisian “Salon” theme (2011) or those related to birds, to complement the accompanying Manly Gallery visual art exhibition (2014), has repeatedly given audiences experiences of somewhat obscure works as well as contemporary pieces. Thematic program highlights have included the works of Elena Katz-Chernin in 2011, the Bach and Sons series from 2013, Forgotten Instruments from 2011 and the musical tribute to the actor John Bell, Robert Keane’s Five Shakespearean Portraits and a concert of Miriam Hyde’s compositions, both in 2015. The 2016 program A Celebration of Friendship and Youth, brought together friends Hylkema, Ashkenazy and Bolliger with Airena Nakamura, Grace Kim and Maria Raspopova with their fresh interpretations of Mozart, Mendelssohn, Gade, Bloch, MendelssohnBartholdy, Jolivet and Hyde. The 2017 program will feature works related to the Manly Gallery Phantom exhibition and in keeping with the tradition of showcasing Australian compositions, a new work by Jim Coyle will premiere. Programming a remarkable series of ten concerts without external financial sponsorship and with only in-kind sponsorship from many organizations and individuals and volunteers is a note-worthy achievement. 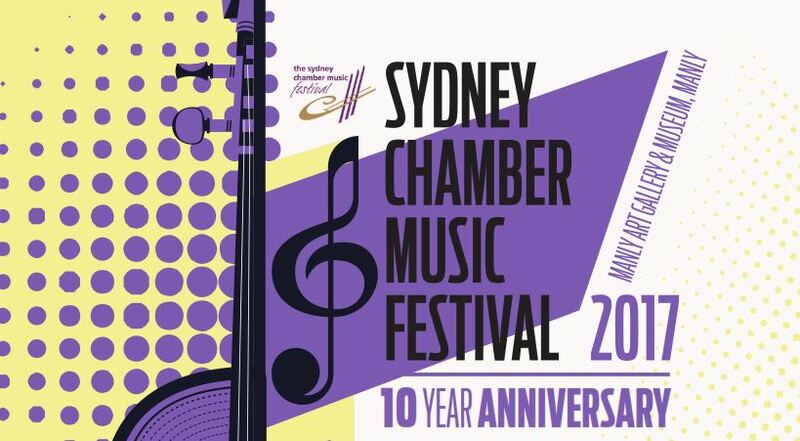 Congratulations to the Sydney Chamber Music Festival and happy anniversary! 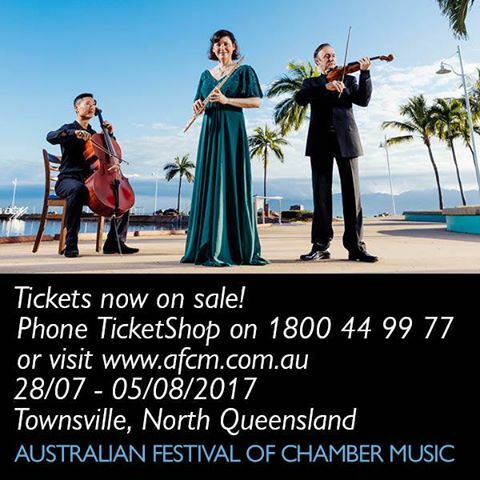 The Australian Festival of Chamber Music’s event for 2017. 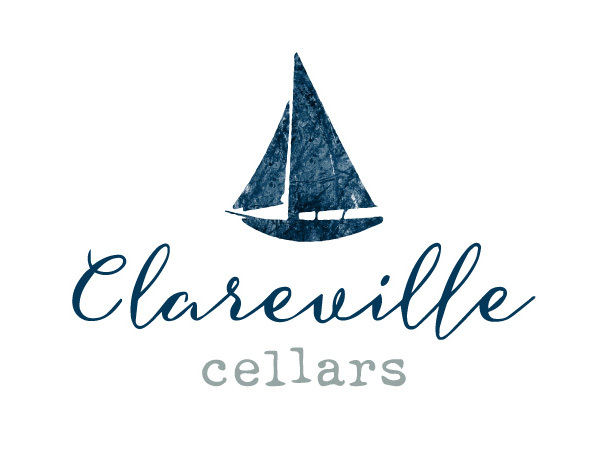 Experience the world’s finest chamber musicians performing in various combinations exclusively in the tropical winter warmth of Townsville, North Queensland. More details can be found on their WEBSITE.